A revolution is ongoing in the field of small-scale energy solutions, which can enable lower impact on the environment, more robust supply and self-determination. Solar power and other forms of renewable energy sources, which you can implement to generate your own electricity, are growing quickly. Electromobility is transforming the car industry and transportation systems and can also play a role in your energy system. Electricity can be used much more efficiently than before, for example by using LED light, variable speed motor drives and efficient home appliances. Smart controls are available, sometimes with free open source software. 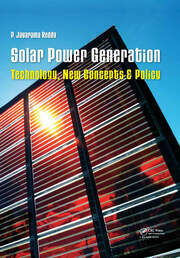 All this opens up tremendous opportunities for energy independence, which is the focus of this book. 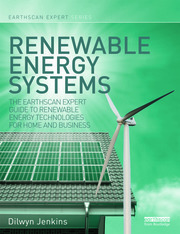 The book introduces the reader to a number of renewable energy sources, to different options for storing electricity and to smart use of electricity, particularly in the context of small isolated systems. This is important because many renewable energy sources are weather- and season-dependent and usually require storage and smart control, in order to obtain a system that is completely independent of the electricity grid. In the book, overall system design is explained, including how to combine different sources in a hybrid system. Different system sizes and architectures are also covered. 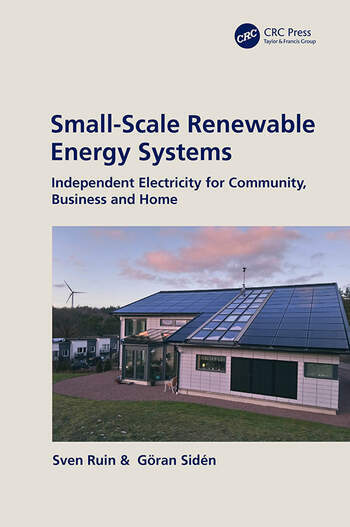 A number of real cases are described, where homes, businesses and communities have achieved a high level of energy independence or are on their way to achieving it. 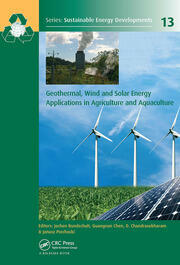 This book will prove useful in university education in renewable energy at bachelor and master level, and also for companies and private individuals, who want to start or expand activities in the area of renewable energy. Introduction. Electricity Generation. Electricity Storage. Use of Electricity. System design. Case Studies. Sven Ruin is an experienced engineer and consultant, who has worked with renewable energy in Sweden and several other countries. One of his specialties is hybrid systems, where different generation technologies are combined, for example for off-grid power supply. Göran Sidén is Associate Professor in Power Engineering at Halmstad University. He has been responsible for developing an energy engineering program focused on Renewable Energy at Halmstad University. Already in 1994 he developed a course in Wind Power Technology. That was followed by many courses in the area, for example Solar Energy and Renewable Energy. He has also been CEO and board member of companies that built and operated wind turbines.